As I write this I am singing the P!nk song, "Get this party started". That is what this cocktail is; instant party starter in a glass. I made this drink and sent my Mum a photograph with a quick description of what is was. I asked her for name suggestions. Hilarity soon ensued as my Mum started sending me a list of truly ridiculous names. Due to my use of Bulldog Gin my Mum seemed to go down a rather dog themed path and one of most awesome suggestions was "The Pink Dog Sh*t". Would you order that? Needless to say I made up a rather more subtle name that allows you to choose your own fabulous gin for this cocktail. You need to have a really smooth and fabulous bottle of gin and stash it away in the freezer ready to make this drink. I used fabulous Bulldog Gin but any other smooth and aromatically delicious gin will do. I love pomegranate. It's the most festive fruit with all it's ruby jeweled glory. 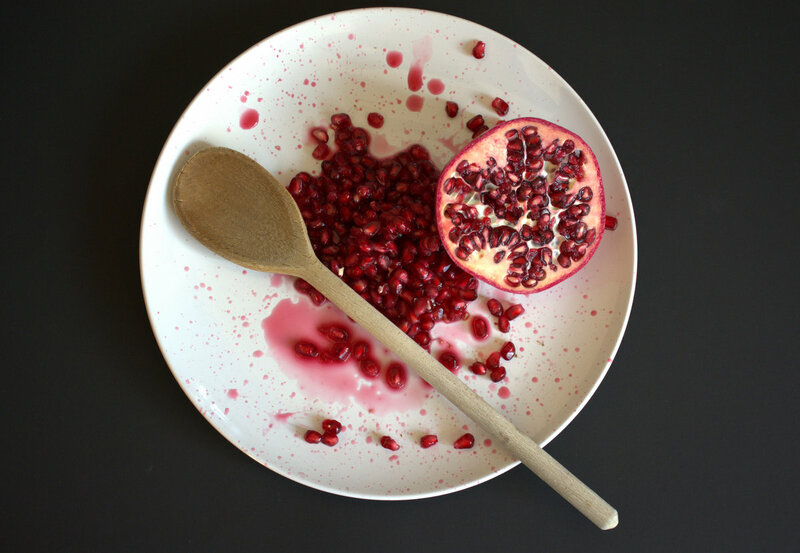 I use the tried and tested wooden spoon whacking method to remove the seeds. 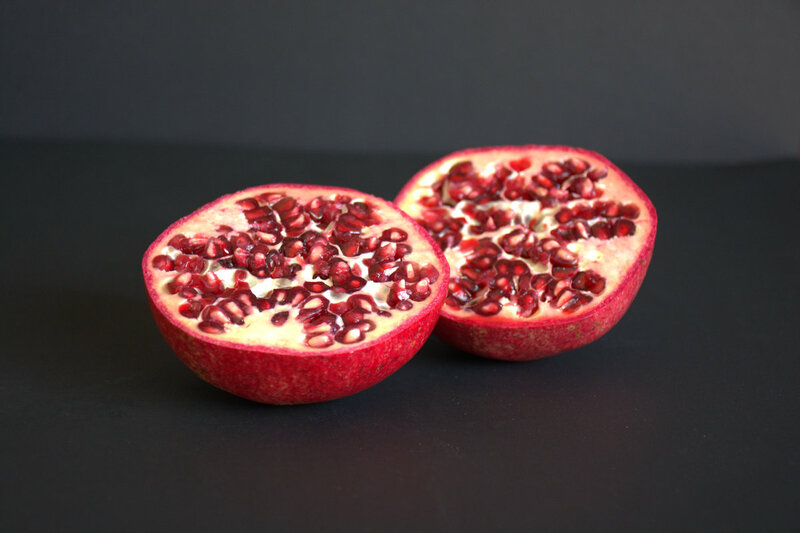 Simply cut the fruit in half and hold it seed side down in your hand with your fingers slightly apart to allow the seeds to fall. 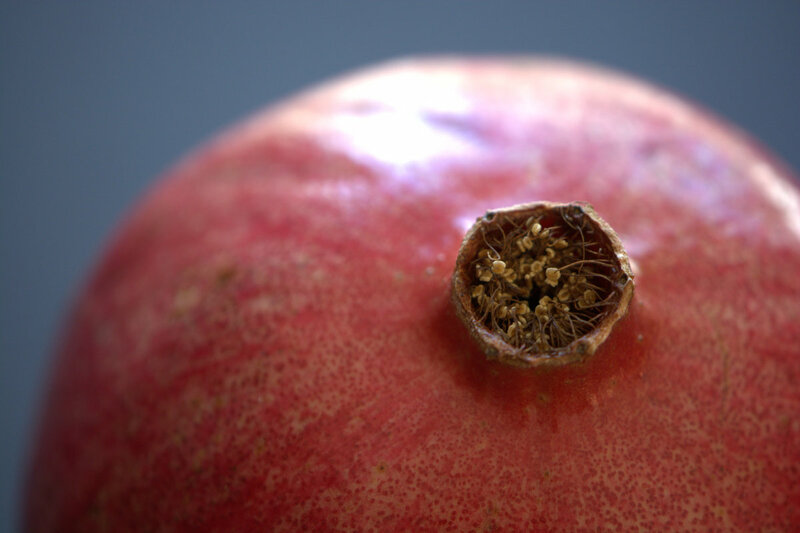 Over a large plate, hit the back of the fruit with the spoon and the seeds will fall out easily. It is a very satisfying process! 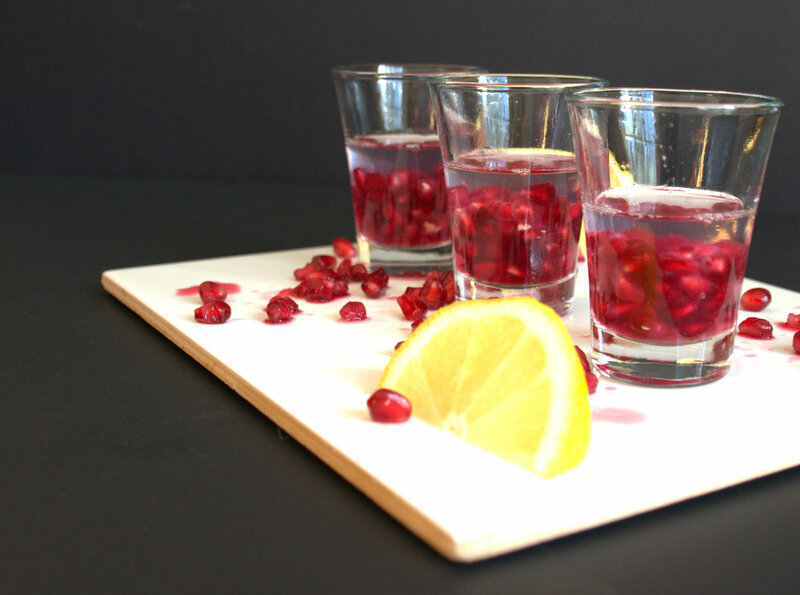 To make this drink simply add about 1 tsp pomegranate seeds into small shot glasses. Spritz a little lemon in each glass and top with 1 shot of ice cold gin. To drink, tip everything into your mouth and very importantly, crunch the seeds in your mouth before you swallow the gin. It's fresh, vibrant and utterly delicious. Guaranteed to get your party started with a bang!